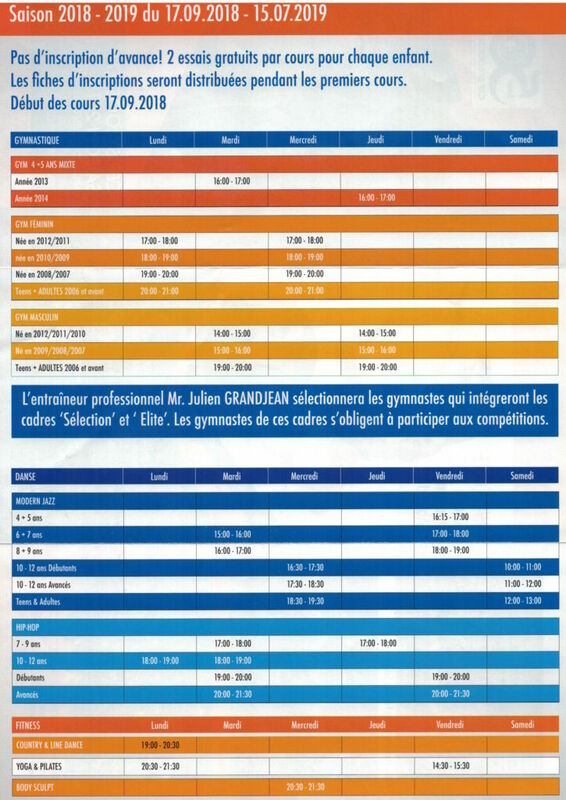 The enrolment will happen at the beginning of every lesson of the respectiv age class of the gymnasts. Please be aware we will only have a limited amount of places, so we can’t guarantee availability in some groups. Members from last season will have priority. We currently run on a first come first serve basis like last season. Children may take part in 2 training sessions for free. The enrolment will be effective after completing the registration form and transfering the subscription fee. Registration form will be distributed after Monday, 17th September 2018. Unfortunately enrolment by email or on our website will not be possible.